The connector of interest is the larger one. 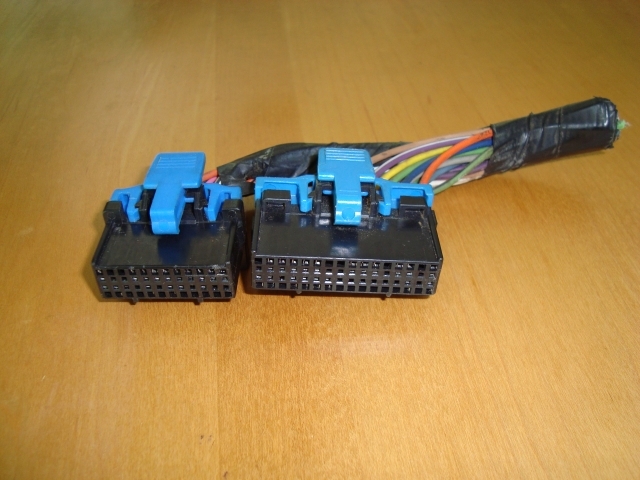 This is the C/D connector. Remove the comb by un-latching the small tabs. Here is the wires are already installed. The D row of pins is actually the lower set. Here the connectors have been turned over. Wires inserted into proper locations. 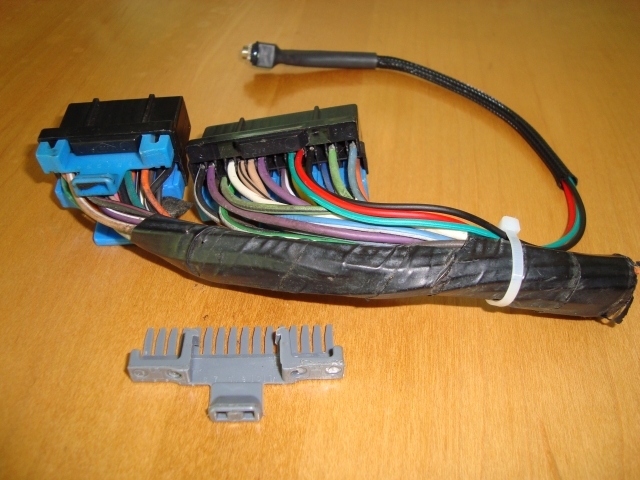 Replace the combs and either ty-wrap or electrical tape the braided part of the cable to the EFI harness. The supplied USB cable plugs into the small connector and into the port on your laptop/PC. When plugging the USB cable into the jack be sure to fully seat the connector plug. The drivers for the USB interface are included with the EBL. 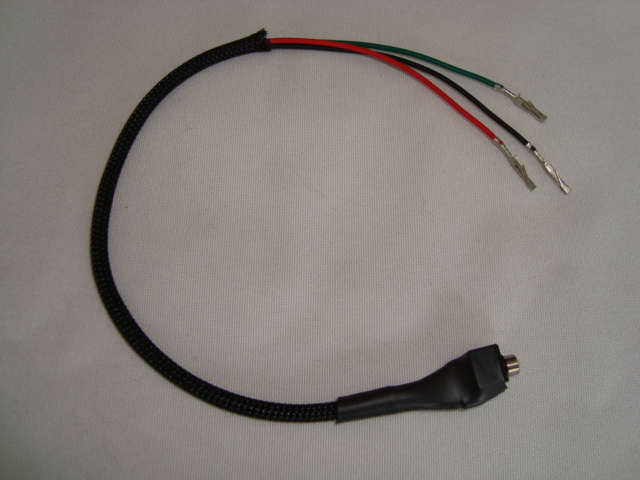 Once the EBL Flash-II CD is installed plug the USB cable into a port. It doesn't need to be connected to the EBL ECM at this time. A new hardware found dialog will pop up. Just point it to your laptop (not the Internet) and it will find and install the drivers. It will do this twice. Then once they are installed and the port is ready to use, follow the instructions at this link to lower the latency setting and to find out which port has been assigned to it. Select that port in the EBL Flash-II What's Up Display.